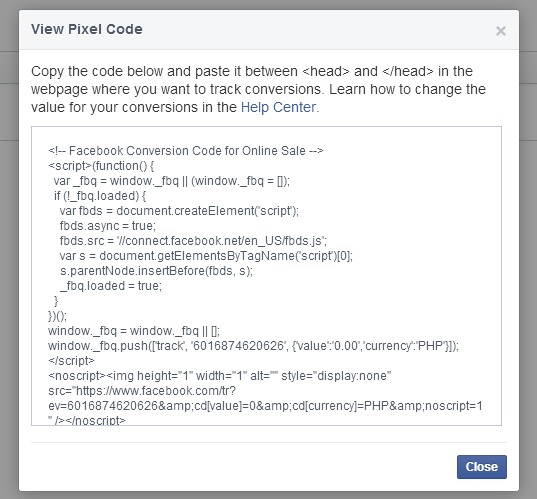 We offer Pixel code integrations for tracking Facebook Ads and Google remarketing ads. NOTE: You can get Facebook Tracking Code by going to your FB page's Ads Manager. 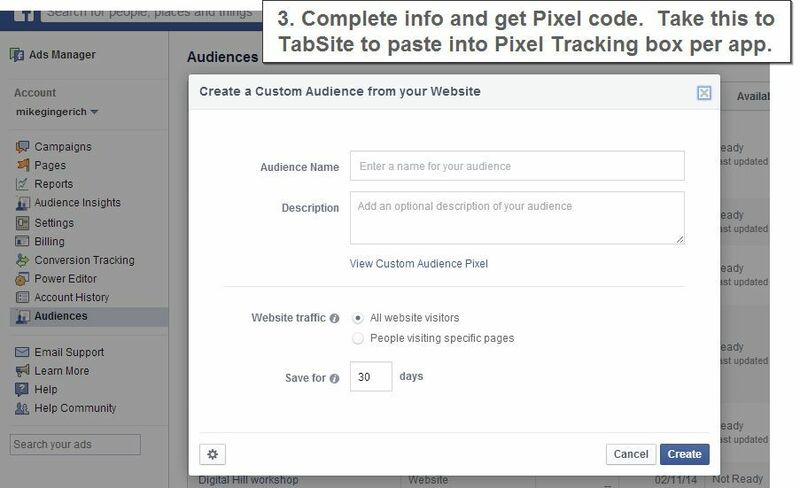 This allows you to add your Ad Tracking pixel code from Facebook so that you can retarget visitors with Ads on Facebook. It's a great way to get more touches and more brand visibility to people that have visited. 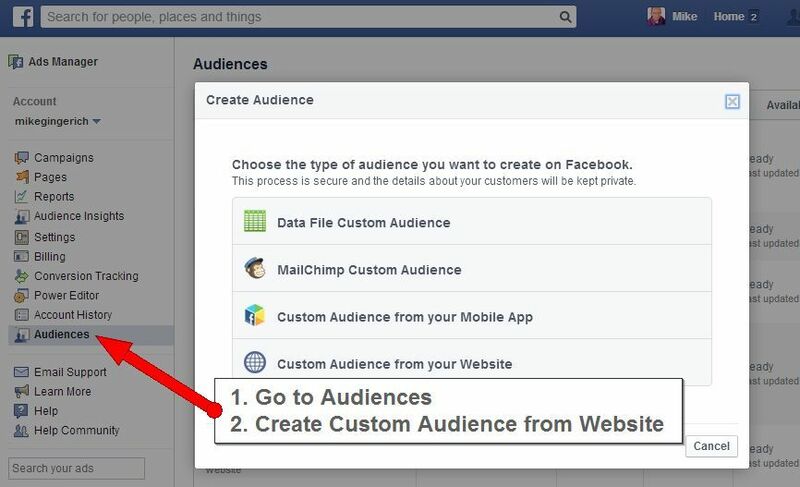 Custom Audiences from Your Website lets you reach people who have visited your website to find them again on Facebook. Using a Facebook pixel that is placed on your app in TabSite, it lets you find the exact same people who have visited your tab/landing page and reach out to them again via a Ad on Facebook. Go to the Facebook Ads Manager on your Facebook Account. Then go to "Audiences". Click "Audiences". Finally, select the type of Custom Audience you want to create. In this case, to retarget visitors to your app, select the "Custom Audience from your website" (NOTE: in this case this is your app in TabSite). Complete the Audience information for yourself to clearly identify this is your TabSite App. We recommend you set the "Save for to 180 days" and then click "Create" to finalize the pixel and get your code. The Advanced setting allows you to add Pixel Tracking Code. 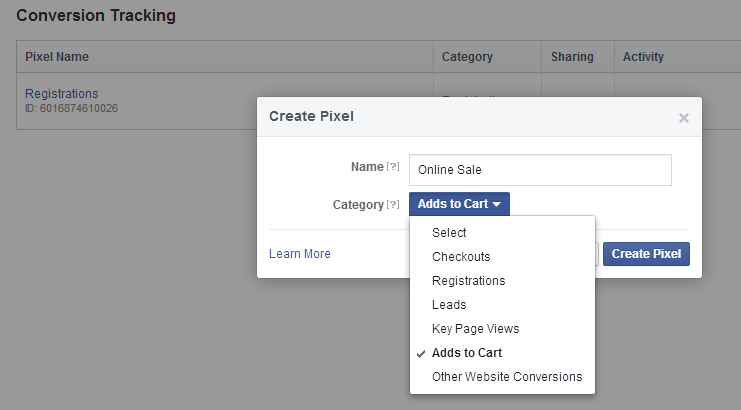 We support Pixel Tracking codes for Facebook and/ or Google Ads. By installing the pixel code from those services, you are then able to target visitors to your promotion back on that service with ads. Simply paste the pixel tracking code that they provide in the Pixel Tracking Code area located in "Advanced" area of each app.